We aim to please. 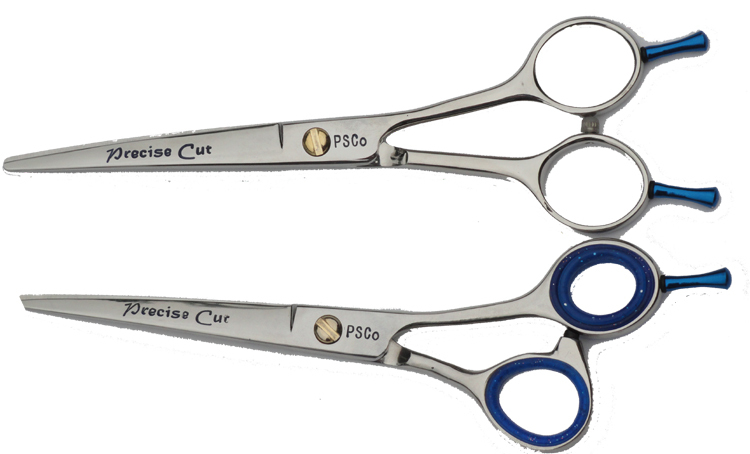 If you can't find a shear on the market that fits your hands ergonomically or just always wanted to try something different, let us modify a scissor for you. Click here for a mini-interview by Melissa Jepson from The Society of Holistic Pet Groomers. Check out what Randy can do for you. After many years of research and Randy moving into his new workshop (affording him more space to set up all his machinery), he has finally mastered the technique of modifying scissors. This Precise Cut JFB-50 was modified from having two straight in line finger rings to an offset thumb position.